Many folks out there will tell you that they’ve been looking for the gal of their dreams for their whole lives. It’s something that most of us can relate to, of course. We imagine what sort of person it might be. We picture maybe a nice dark or red dress. 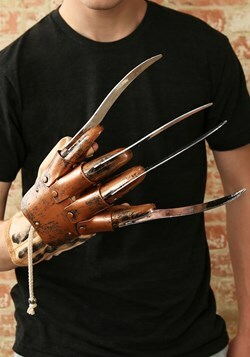 Nicely tended fingernails, perhaps some killer moves that just drive us crazy. Phew, the ideas alone might keep us up all night just thinking about it! 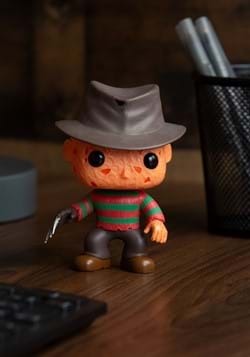 Of course… dreams are only a tiny step away from nightmares and that gal of our dreams might actually be the stuff of terror! Then again, that can still make for an interesting tale to be told. Heck, we’ve seen plenty of stories about nightmarish folks chasing down those who, at least to some degree, seem to deserve it. We can only hope that when we lay back to dream, we haven’t earned any such scorn! 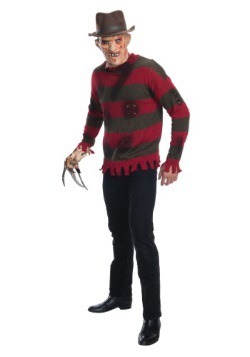 Well, it is time to gear up and dole out the dread. 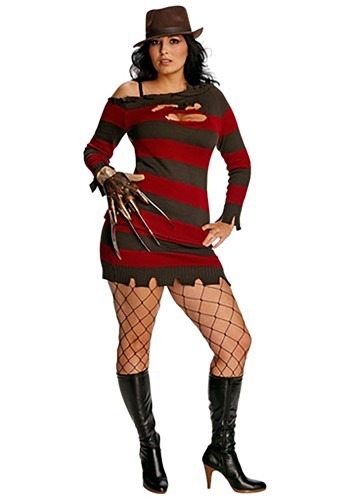 Decide if you want to be the stuff of dreams or nightmares with this women’s plus Miss Krueger Costume. 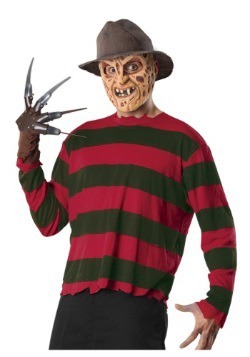 This green and red striped sweater dress is the perfect female interpretation of Freddy’s iconic shirt from the Nightmare on Elm Street series of horror films. 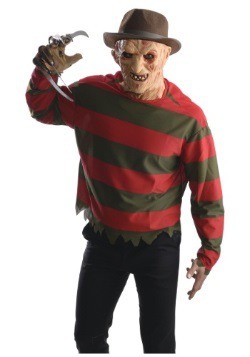 The tattered neckline, bottom, and cuffs make for a look that is the perfect combination of sultry and scary, especially with those Freddy slashes that are so perfectly placed. 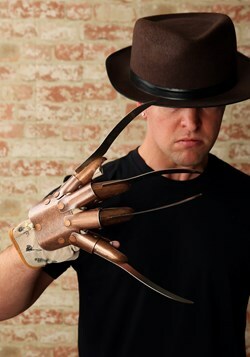 Don’t forget the brown fedora and, of course, the Freddy Krueger glove. Remember: folks go crazy for some nice nails! Though, we’re not sure anyone will be expecting that.